In 2005, Linder was elected to the prestigious Board of Governors for the Academy of Television Arts and Sciences, as a Governor; she represents the Daytime Programming peer group and was reelected in 2007. Also, she’s on the board of AFTRA. In addition to her role on the daytime drama, Linder works as a United Airlines flight attendant, flying mostly on weekends. She was also the first daytime celebrity to compete in the Toyota Grand Prix of Long Beach's Pro/Celebrity Race. Linder was named celebrity spokesperson for The ALS Association in 2005 and established Kate's Club to get fans and other actors involved in the fight against ALS, commonly known as Lou Gehrig's disease, following her brother-in-law's ALS diagnosis. Also, Linder is active with the Los Angeles Mission and many other charities. Linder visited troops on USO tours to Afghanistan, Pakistan, South Korea and Guantanamo Bay in addition to military bases in the United States. She is a founding member of TV Cares, The Academy of Television Arts and Sciences AIDS awareness and fundraising arm. She was the only daytime actress to be featured in "Portraits of Life, with Love," a coffee table book published to raise funds for various AIDS organizations. On April 10, 2008, Kate Linder was honored with a Star on the Hollywood Walk of Fame. Mayor Antonio Villaraigosa, Lee Phillip Bell and Jeanne Cooper spoke at her well-attended ceremony. A native of Pasadena, California, Linder attended San Francisco State University and graduated with a B.A. in theater arts. Linder has appeared in numerous theatrical productions in Los Angeles and the Bay Area. Linder is married to Ronald Linder, a leading expert and author on drug abuse. The couple, who married on Valentine's Day in 1976, lives in Los Angeles. Her birthday is November 2. 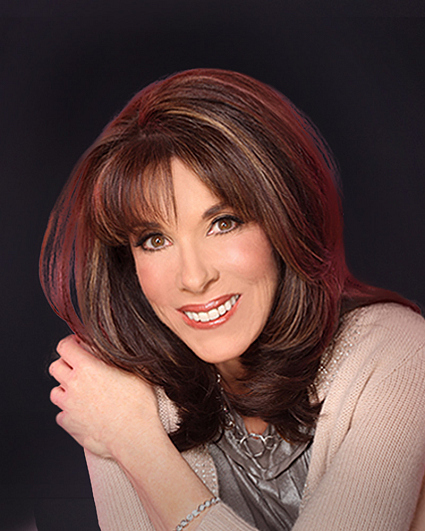 Follow her on Twitter @Katelinder.